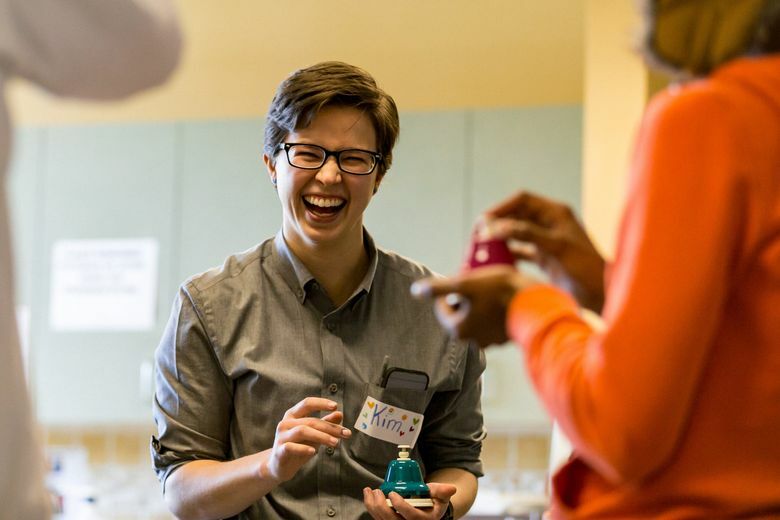 For the past several weeks, as part of a Seattle Symphony project, composer Alexandra Gardner has been working with young people at New Horizons youth shelter and the YMCA, cooking up a score to be performed by symphony musicians in the lobby of Seattle Art Museum at 2 p.m. Saturday. The atmosphere at New Horizons is about what you’d expect from a fully functional, 20-year-old youth shelter in Belltown: as utilitarian as a bunker (fluorescent lights, plastic chairs, a lingering fragrance of bodies and disinfectant) with bright flourishes of humanity (sincere and smiling staff, big murals on the walls, vibrantly colorful bathroom doors that look like they were painted by an earnest non-professional). 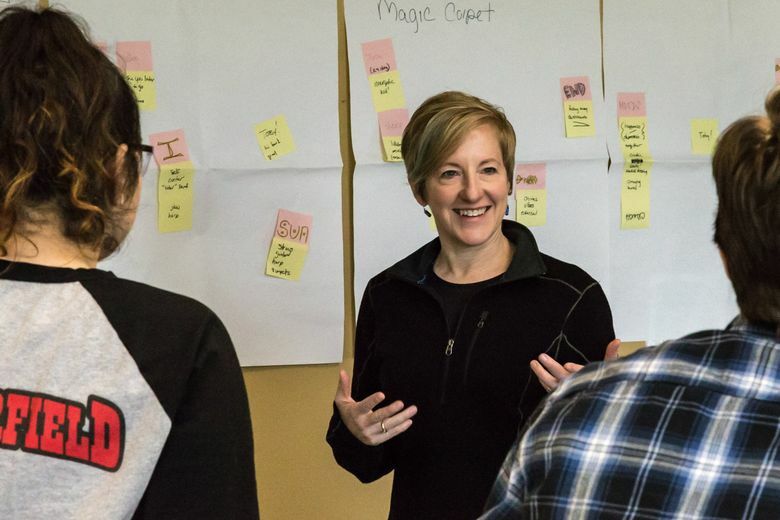 On May Day, a few well-intentioned people from Seattle Symphony Orchestra — including Alexandra Gardner, the symphony’s current composer in residence — showed up at the New Horizons drop-in center to roll butcher paper across tables and set up chairs. 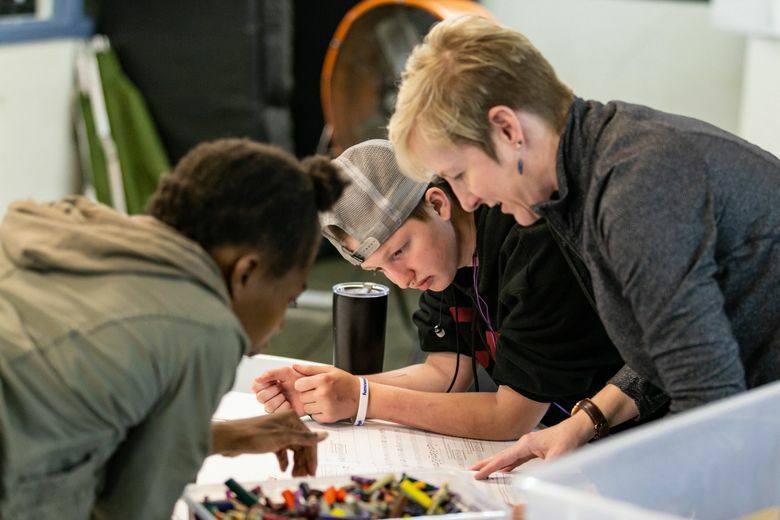 For the past seven weeks, as part of the symphony’s Prism Project, Gardner has been working with young people at New Horizons and the YMCA, cooking up a score to be performed by symphony musicians in the lobby of Seattle Art Museum. Everyone was primed and ready for that morning’s workshop. There was only one missing ingredient: the young people. “Well, every day is different,” Gardner said. 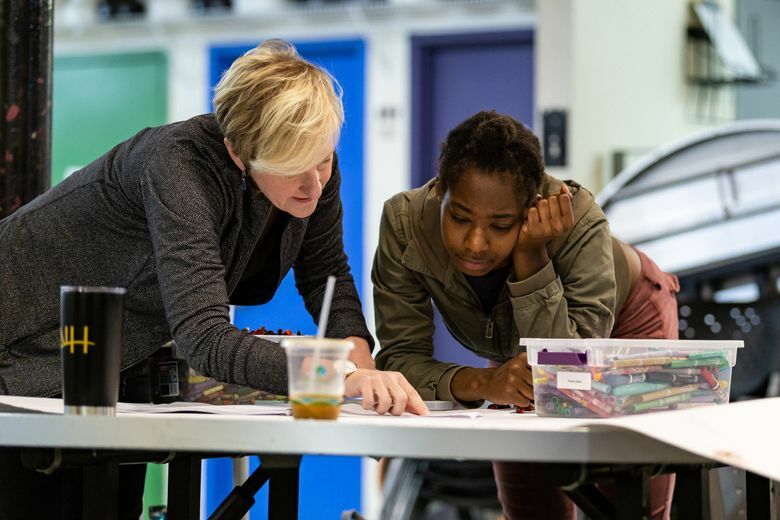 She had a four-movement score, based on input from the participants, nearly complete — but young homeless people lead complicated lives, she explained, and attendance had been a bit of a revolving door. The professionals at New Horizons told her she shouldn’t worry. 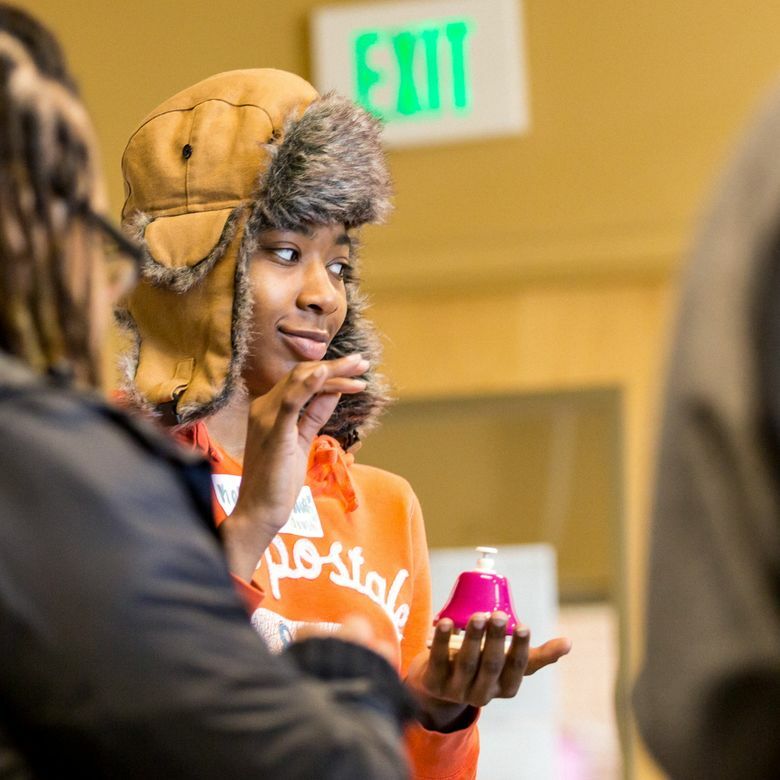 The symphony’s community-engagement initiatives have been simmering for years, but hit full boil in 2015, when then-Mayor Ed Murray and King County Executive Dow Constantine declared formal states of emergency about homelessness. 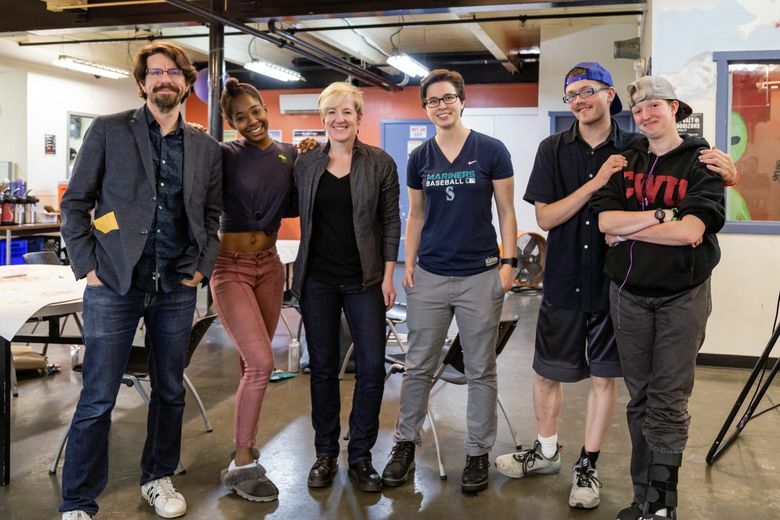 The symphony responded by convening a round-table lunch to ask local nonprofits (Mary’s Place, Path with Art, others) whether deploying the tools at its disposal (composers, musicians, a big public platform) would be helpful or just a hollow gesture. On May Day, the first non-symphony person to walk through the door was New Horizons coordinator Kim van der Giessen. She seemed sanguine about the lack of prompt attendance. A few former participants might have flaked out, but others were attending to more urgent business. A few minutes later, three young participants trickled in: Laylonzio, Olivia and Maven. Everyone gathered on couches and Gardner talked through the score, which begins with a “welcoming” section where musicians (and, ideally, young participants) would walk around SAM’s lobby, ringing the little bells you’d find on a diner or library counter. Gardner coaxed and cobbled together the score from workshop improvisations — some that didn’t, at first, seem especially musical. One morning, she’d asked how participants greeted people on the street, then gathered them around a keyboard and played musical impressions of what those greetings sounded like. In another instance, someone suggested a didgeridoo sound. The orchestra doesn’t have a didgeridoo, so Gardner conjured one by scoring a short section for bass, cello and bassoon. Later, she quizzed a participant named Dakota about what kind of instruments they liked. 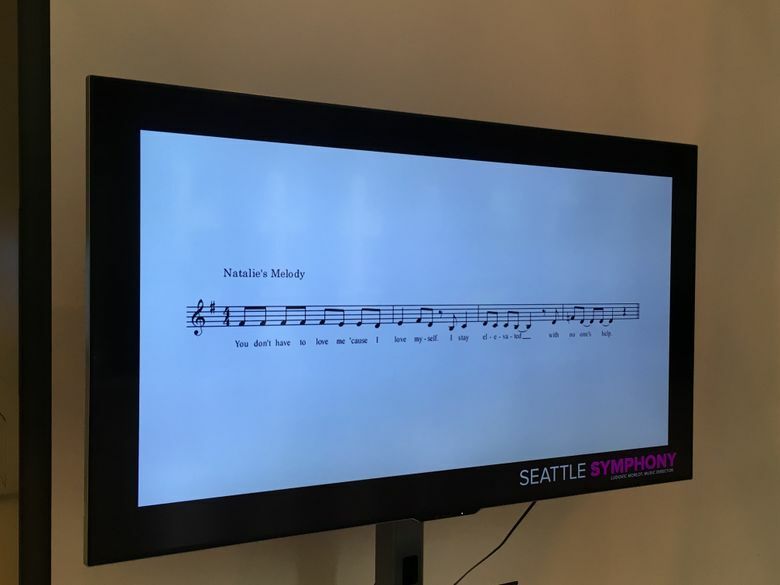 Two weeks later, Gardner and symphony musicians gathered in the lobby at SAM for a rehearsal of “Stay Elevated.” Every snippet of music was, in some way, created or suggested by the participants, from the leitmotif to musicians improvising rain sounds by tapping on violins and horns. The final movement suggested by the participants, “Moods/Awakening,” had the soft, fluttering sound of dawn’s first birdcalls. The effect was gorgeous — pretty and haunting. There was only one missing ingredient: the young people who’d helped create the score. That seemed par for the course but, van der Giessen said later, was no reason for disappointment. Young New Horizons clients, some in pure survival mode, live with a different metabolism of schedules and needs.